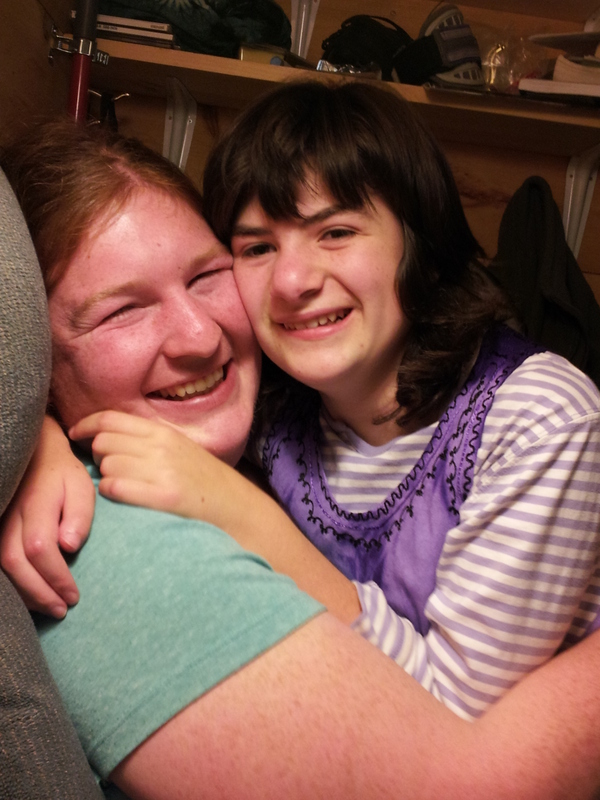 When Jamie moved home to Vermont in 2010 and started working on her tiny house plans, she also began working for a family friend providing respite for their young daughter, Georgia. Georgia’s story is a harrowing one. A car accident when she was three months old led to a serious brain injury and the loss of her biological mother; and just this past summer she lost her father too. I’ll talk more about Georgia’s story at another point but suffice it to say she’s already lived through more struggle and loss in her 12 years than most people do in a lifetime. Jamie and Georgia have a special friendship that is beautiful to watch. Right now as I sit writing this post, Jamie is sitting with her chatting about the day and our plans for this evening. While Jamie’s been providing some care for Georgia over the past two years, this fall began a new chapter in their relationship as Jamie now provides after school care in addition to having her overnight one night per week. Yes, I did say we have her overnight. 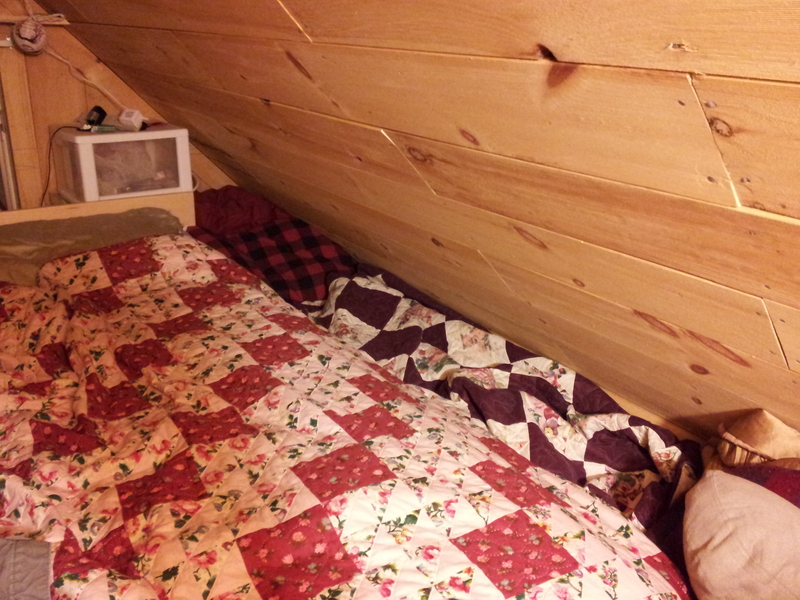 Upstairs in the sleeping loft, one side of the eaves has cubbies for clothes, and the other side has Georgia’s bed. We took a foam mattress pad, cut it lengthwise into quarters and tucked it into the two foot wide space next to our bed to make a comfy nook for her. Covered by a sheet and snuggled in with blankets on her sleepover nights, Georgia has her own special bed that she absolutely loves. We were all a little worried when I moved into the Tiny House this summer (or as Georgia calls it, the “Big Huge House) since we weren’t sure how Georgia would adjust to sharing Jamie with me. Lucky for all of us, she seems to love me almost as much as she loves Jamie and she’s adjusted to the change incredibly well. 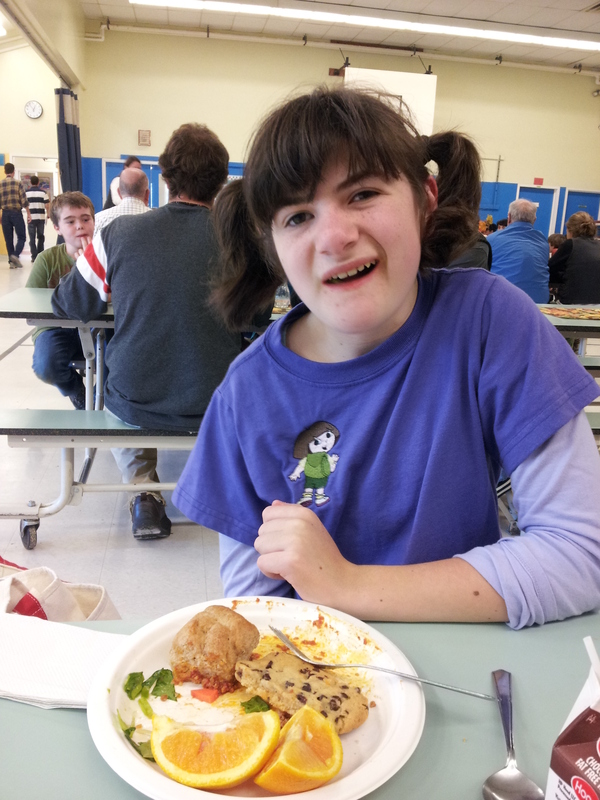 Georgia asked me to come to her school as her “special guest” for lunch a couple of weeks ago. I arrived at her school a little early and hung out to wait for her, and was more than a little touched to learn she talks about me often – though that shifted to amusement upon learning I’m “Jamie’s Girlfriend” and EVERYBODY at her school knows it. Georgia, in a nutshell, is the sweetest, happiest, and funniest kid I know. She loves the color purple, giggles every time Jamie laughs, navigates the world with cheer, and loves the tiny house almost as much as we do. She loves Dora, Blues Clues (she wants me to tell you she likes Steve better than Joe), and has just discovered she has a passion for bowling. 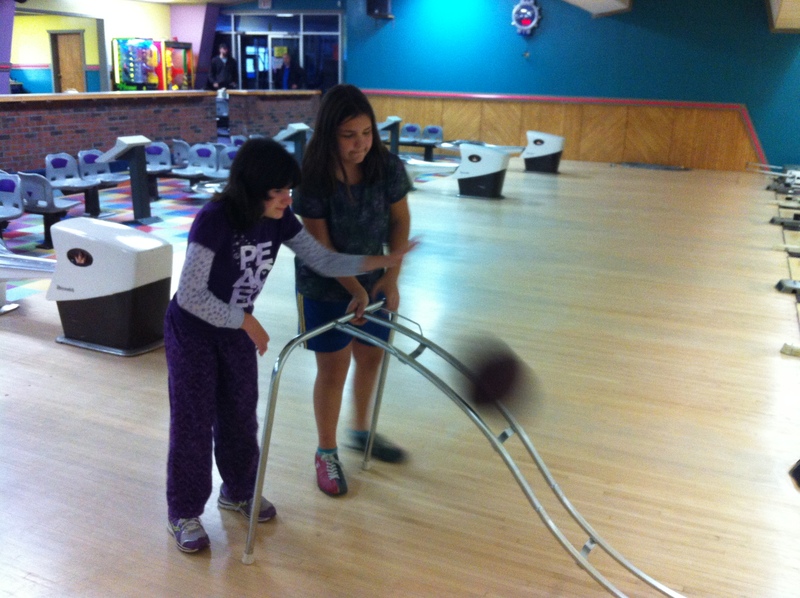 That adaptive bowling setup is really cool. I’d never seen that before….